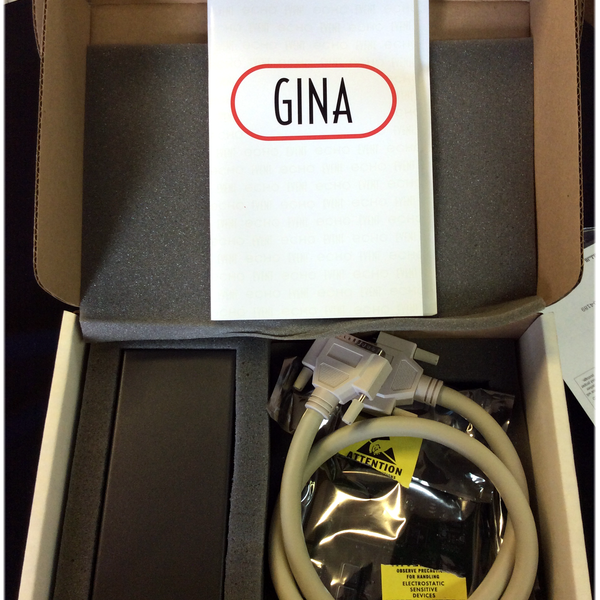 Morgan Sound, Inc. - Event Electronics GINA 20-Bit 128x Oversampling 10-channel Audio Recording Interface - New! 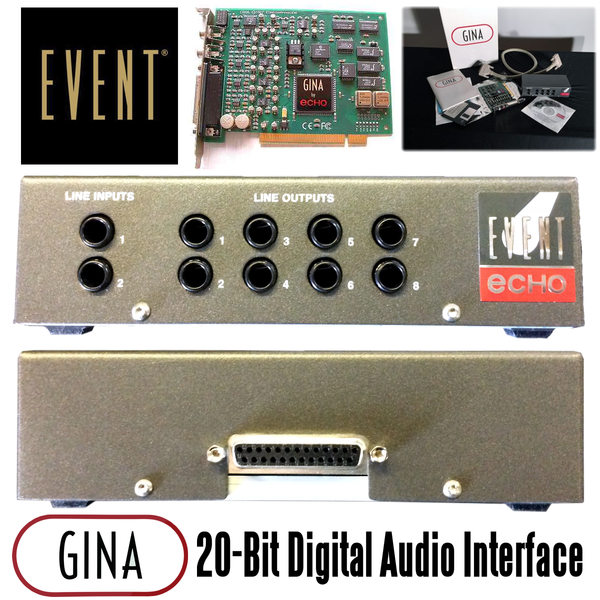 Event Electronics GINA 20-Bit 128x Oversampling 10-channel Audio Recording Interface - New! 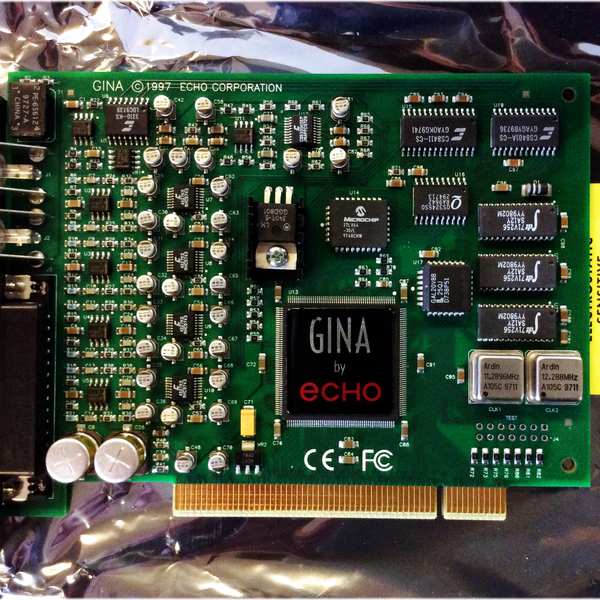 GINA, manufactured by Event Electronics, is a PCI-based Soundcard/Interface that features two analogue inputs and eight independent analogue outputs, all on standard quarter-inch jack sockets, as well as an S/PDIF digital input and output. 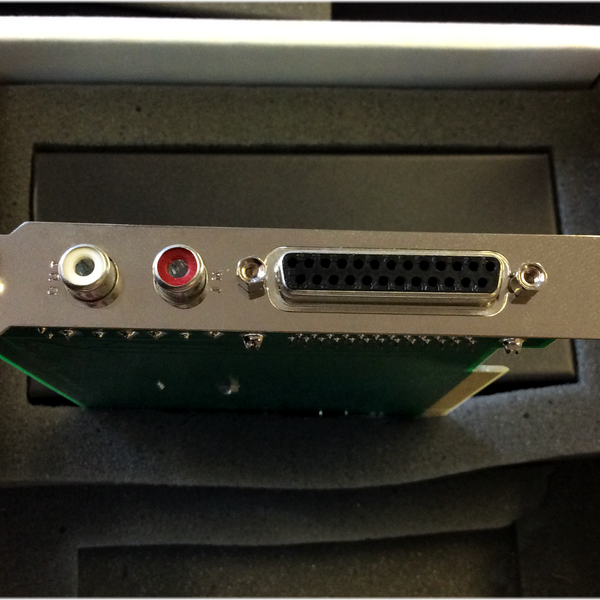 The PCI-based system works with both PC and Mac. The drivers allow full-duplex operation, so you can simultaneously record on four channels (two analogue, two digital) whilst playing back on all 10 outputs (eight analogue plus two digital). This item is New Old Stock / New In Box; it was the demo floor model in our showroom. 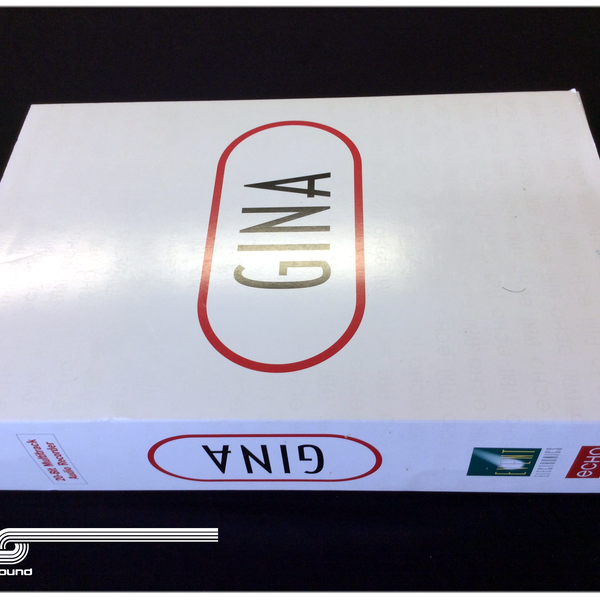 As such, the box is open and it cannot be sold as “new,” though it comes in the original packaging with all manufacturer-supplied accessories and documents intact and included. Note that despite the relative age of the product (in a marketplace where anything digital has a half-life of about 32 samples) - while many newer products tout specs far superior on paper (up to 32-bit, 196kHz recording, for example) - most of the perceived "quality" of a digital recording is largely found in the codecs, or A-D and D-A converters. Frequency Response:	10Hz - 22kHz (±0.5dB at 48kHz sample rate).